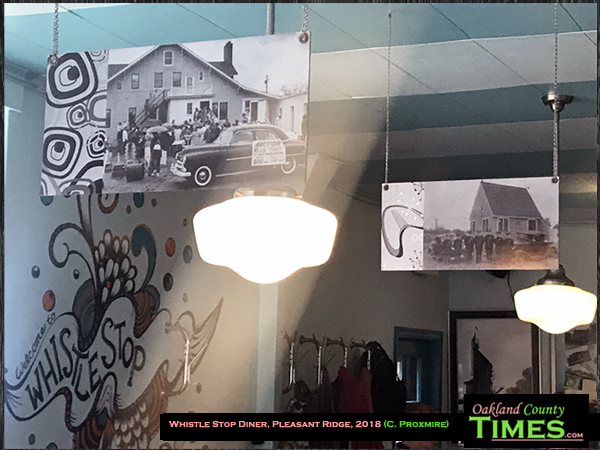 Pleasant Ridge, MI- A Reporter Food column from Pleasant Ridge has been a long time coming, but finally I’ve had a chance to enjoy the Whistle Stop Diner at 24060 Woodward Ave. This tiny café is often packed, with a line out the door on weekends. I picked a weekday and was able to claim a counter seat. 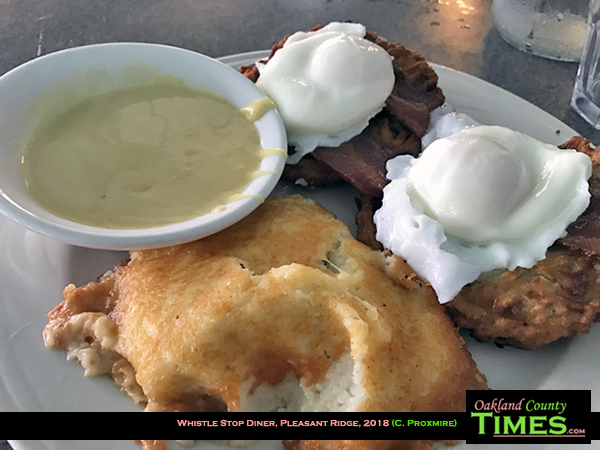 Whistle Stop has plenty of breakfast and lunchtime fare. My pick was the Sunny Sunrise which is off their “Benny” section. 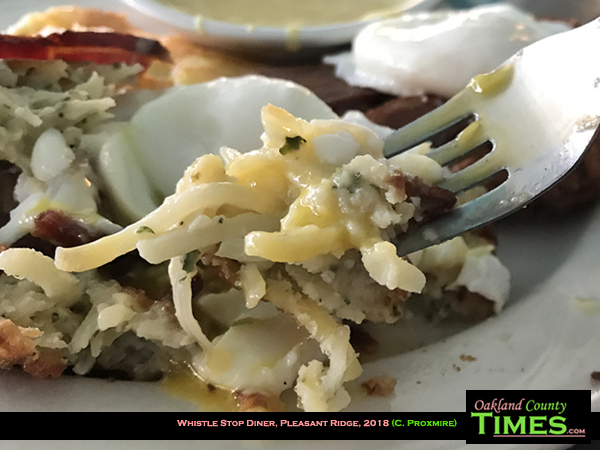 This had two potato latkes topped with slices of bacon and two poached eggs served with a saucer of Hollandaise. It came with a choice of hash browns or Parmesan cheese grits, and I took the later. 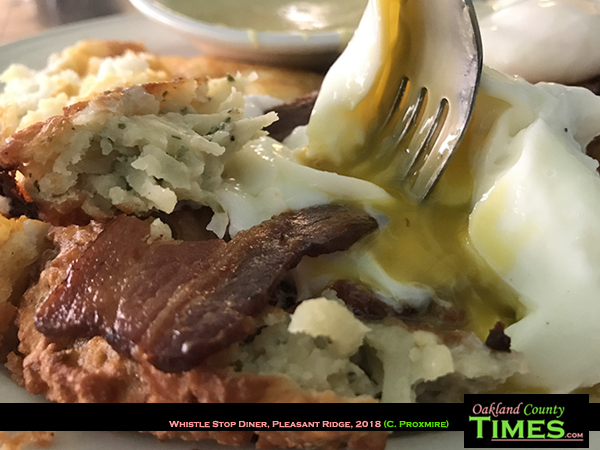 Other Eggs Benedict options include the Beverly Hillbilly (with fried chicken, sausage gravy, buttermilk biscuit, cheddar and hot sauce), Our Way (bacon, spinach, Hollandaise and diced tomato) and OH Cisco (chorizo sausage, avocado, jalapeno Hollandaise and paprika). There are also pancakes, French toast, omelettes and skillets. 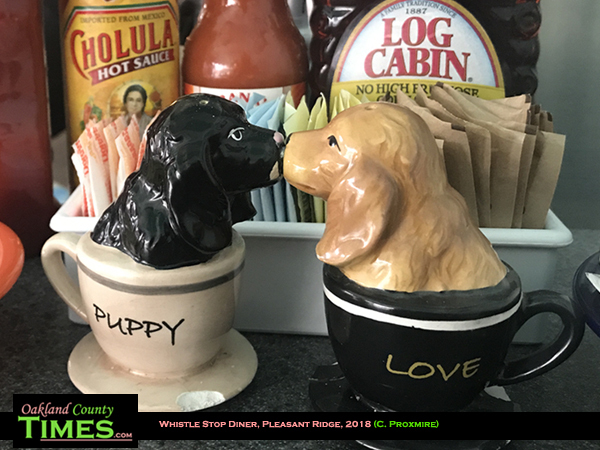 Inside the Whistle Stop Diner is a fun, quaint atmosphere with adorable salt and pepper shakers, baby blue walls, and pictures of local history hanging from the ceiling. There is also a Whistle Stop Diner in Birmingham at 501 S. Eaton that also carries the Sunny Sunrise. 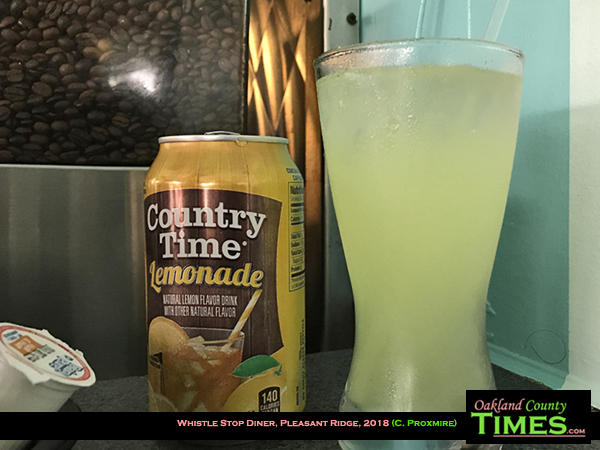 Check out both on the Whistle Stop Diner website. 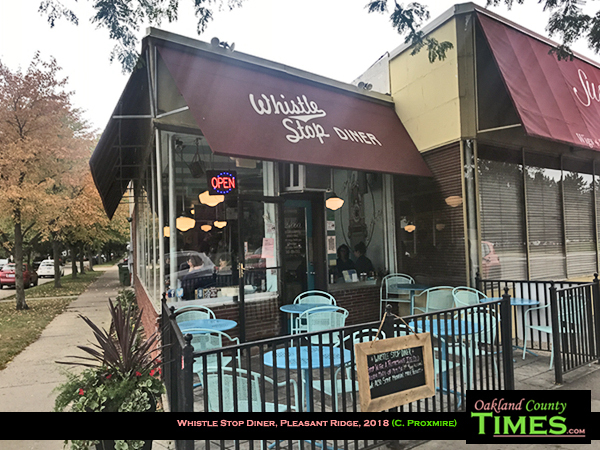 White Castle is the Reporter Food sponsor of Oakland County Times, supporting our quest to explore restaurants throughout Oakland County. Find White Castle locations, and more information about all their menu options, at www.whitecastle.com. Do you have a suggestion for our Reporter Food column? Join in the conversation on Facebook and leave your recommendations. Check out other Reporter Food columns HERE.